Students, alumni, staff and friends of the college! 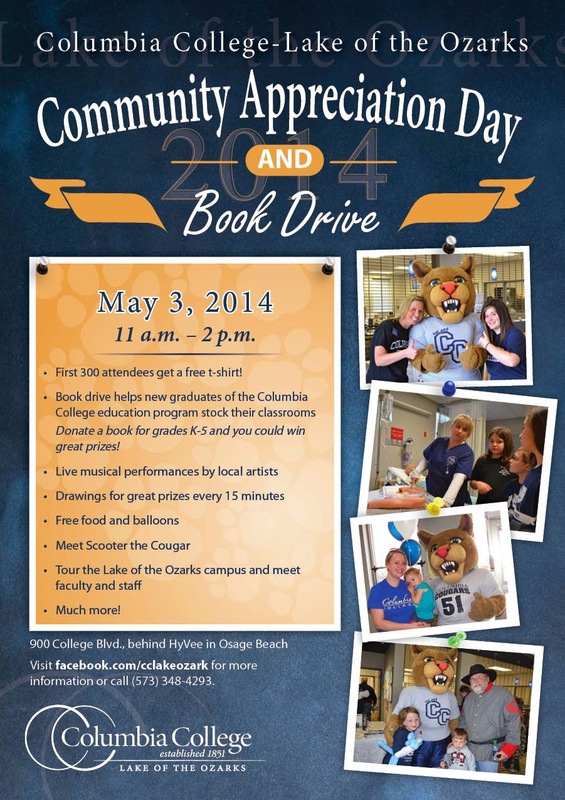 Join us for our 6th Annual Community Appreciation Day and Book Drive here at the Lake campus. The first 300 in attendance get a free t-shirt and everyone that donates a book (K-5th grade appropriate) is entered to win amazing prizes! Also, free lunch, great musical performances, faculty presentations, awesome prizes and much more will be showcased at the great community event.